One of the most important features of birds is their wings. As in the case of their beaks, birds have different shape and size wings to help them survive in different environments. 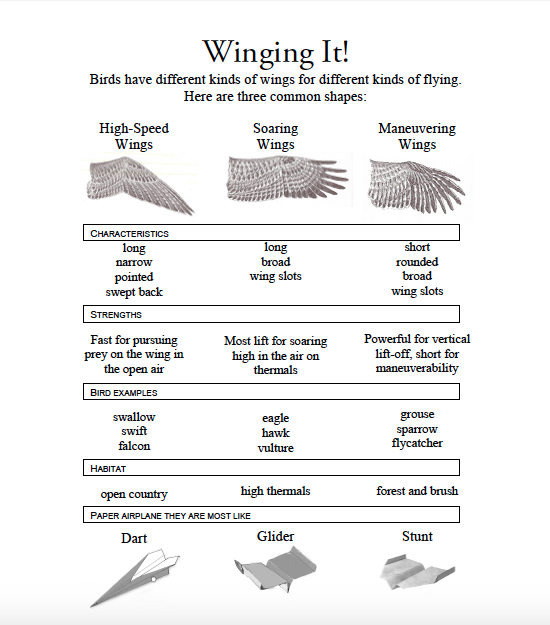 Use the chart below to help you understand the different shapes of bird wings. Then make some paper airplanes to demonstrate how wing shape influences flight characteristics. Chart is copyrighted by Bonnyvale Environmental Education Center.